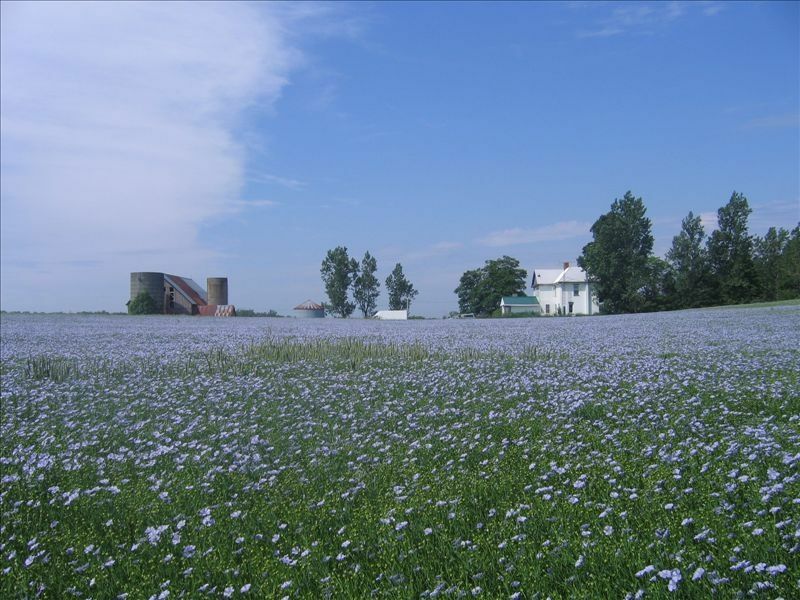 Brumasole farm sits on 130 acres of beautiful farmland. This Century farmhouse has been newly renovated with tender loving care and visitors will find their stay very comfortable and relaxing with a lovely view from every window. Spend your day at the Sandbanks Provincial Park beach and then enjoy an evening camp fire roasting marshmellows. Bring your bikes and cycle to the beaches of Pt. Petre. Take a long walk down our country lane. There is something for everyone. Although the farm is set nicely in from the road and very private, it is still only a short drive to many 'County' attractions. Beaches, wineries, antique shops, petting zoos, etc... We truly believe that once you stay at Brumasole farm you will return again and again. Beautiful setting! Close to many amenities that the county has to offer. The farm house was comfortable with the huge kitchen island the hub of activity from food prep to cocktails to the perfect surface for puzzles! The breezes were most pleasant and rooms comfortable. The patio was a nice place to hang out in the evening and to bbq. The one down side was the power outage the morning we were to leave so no water or coffee!!! We will certainly consider a return stay! We are really glad you and your family had a good time at Brumasole Farm. It was unfortunate that there was a power interruption on your final morning. You did a marvellous job leaving the house in order before you left, even without power. Our two families (4 adults, 3 children under 3) stayed for a week at Brumasole Farm. What a wonderful week it was! Brumasole was the perfect base from which to explore the county and the house itself accommodated us in every way. There was lots of space to be together or alone; the grounds were fun to explore and we made great use of the fully stocked kitchen. We hope to make a visit to Brumasole an annual event! My whole family: 1 set of grandparents, 2 sets of parents and 3 toddlers came together in this beautiful, magical home for 5 amazing days. As veritable foodies we absolutely loved the gourmet kitchen and used it to its maximum. The yard in the front was perfect for near endless games of hide and go seek with the kids and the fire pit in the back was just the right size for lunchtime wiener and marshmallow roasts. It is a great location, not far from all the sites on the island. The house was warm and welcoming. We really had a great time! Thank you so much! So very happy to hear that you had a wonderful stay at the farm. We hope you and your family choose Brumasole Farm again in the future. What a lovely old house with all the modern "creature" comforts one needs! We had a great weekend at Brumasole catching up with friends and touring the wineries of Prince Edward County in the quiet of the off-season. The house is beautifully appointed - the kitchen with its large island is perfect for enjoying relaxing company of friends while preparing a meal, the big dinning room table to enjoy it with everyone, and comfortable beds to tumble into at the end of the day for a peaceful sleep. And if cooking is not desirable, there are lovely wineries and restaurants to enjoy in close proximity - we very much enjoyed our lunch at the Gazebo at Wapous Winery. The property has plenty of room outside for children and pets to run and explore freely. Even in the cool of fall without the draw of sun and sand beaches nearby, hIghly recommended for a relaxing getaway with friends and/or family! Thank you for your lovely review. We are always happy to hear that you, your family and friends have had a great stay. We hope to see you again in the near future. My wife and I and our two boys had a great stay at the brumasole farm. The property is exactly as you see in the pics, with big rooms and lots of light. Always a beautiful light breeze that makes unwinding outside in the morning and night a pleasure. Joanne was always available for questions. Just a 5-6 minute ride to beautiful sandbanks, we had a great stay and looking forward to our next visit. We are always happy to hear that your stay at Brumasole Farm was enjoyable. We hope you come back and visit again in the future. This is our second visit to Brumasole Farm. Both times we were there were during heat waves and we enjoyed the constant breeze, the shade of the lovely trees and close proximity to Outlet Beach. This is not a fancy place, but it is a perfect place to relax and unwind. Privacy is guaranteed because of the large acreage surrounding the farmhouse. The kitchen has been modernized and is stocked with anything you could ever need. The large dining table is perfect for a good sized group and the bedrooms have retained the rustic feel of an old farmhouse. The house and property is clean and well maintained. The new back patio is a great addition...we had some nice times, sitting out back looking at the stars. We are always happy to hear that your time spent at Brumasole farm was enjoyable. We do try our best to make your stay comfortable. Glad you liked the new patio addition. Looking forward to having you visit again in the future.